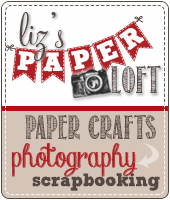 Liz's Paper Loft: PKS April Release Blog Hop ~ Happy Bird-day! 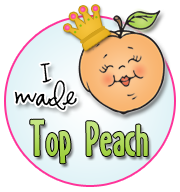 Well it's finally here...Peachy Keen Stamps April Release! I know you've been drooling over what all the girls have been sharing with, as have I! You should have arrived here from Brigit's awesome blog. 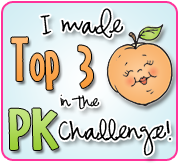 However if you just popped in to say hi to me then you'll want to head over to the start at Peachy Keen's blog! This way you won't miss a thing! If its ok I'm going to try to replicate your flamingo coloring. I love it! Beautiful card Liz! The colors are so pretty and I love how you added the leaves! Your card is beautiful Liz. Love the colors together. beautiful and very colorful card!!! He is such a happy flamingo. And he's so pretty (He might not appreciate that). Great card. Thanks for sharing a great week. Love the pink flamingo- so sassy! 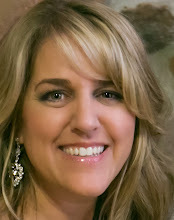 Your cards are FANTASTIC, Liz!! I loved them each and every one of them as soon as I saw them! :) Thank you for all of your hard work!! Much love and BIG Hugs!! Wow! That shading is great! I really love that font that they used for the phrases too! Reminds me of Vegas. I am just LOVING that flamingo!! !beautiful card!!! I like your "Miami Vice" card! Love this flamingo!!! THe color combo is fabulous, you did a great job again Liz! Thanks you for a fun and inspirational week! Such a bright, fun and cheerful card, love it!! 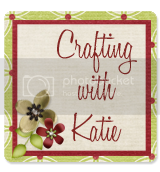 Beautiful card, thanks for sharing!!! 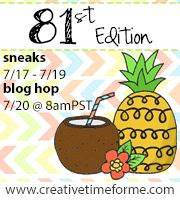 I love all the ideas in this hop!!! 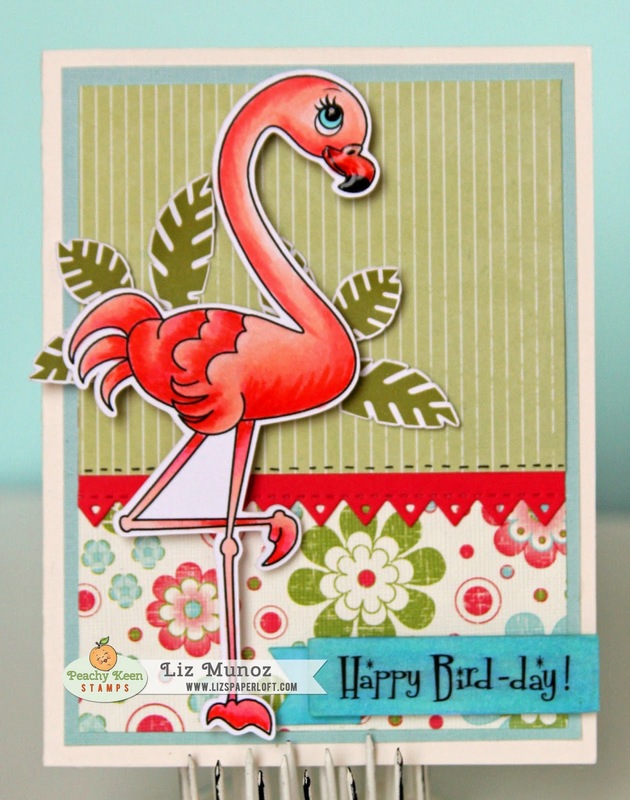 Fantastic Card, love the coloring on the flamingo, awesome choices of papers and embellishments. Thanks for the inspiration. Thanks for sharing your Miami vice card. lol. Your Miami Vice card is so pretty. The colors are great. Your Flamingo is colored so well and I like the edge die. Super job! Cute card. Great coloring and the eyes go so well with the famingo. Great card! 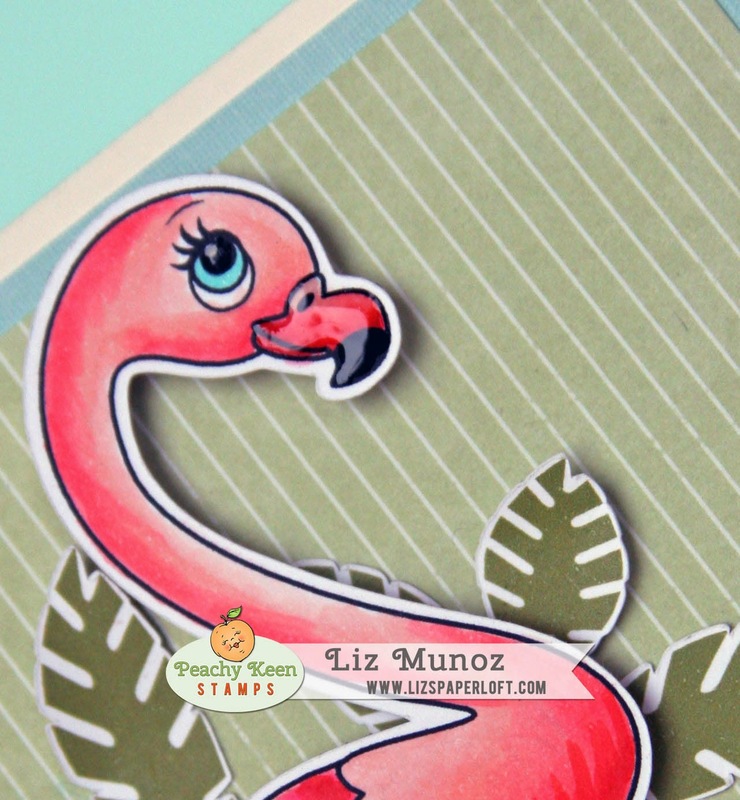 I really love the highlighting and feathering texture you did on the flamingo! The flamingo really makes the card stand out. Total CUTENESS Liz!!!! Love how you colored that flamingo!!! WOW!! This is just gorgeous!! I absolutely LOVE it!! I love the flamingo on your card. It is so colorful. I love this flamingo. I need to practice my coloring, hope to make mine look close you yours. You added so much dimension! Great card - nice colors! Beautiful color combo...love the flamingo!!! Adorable card, love the paper!! 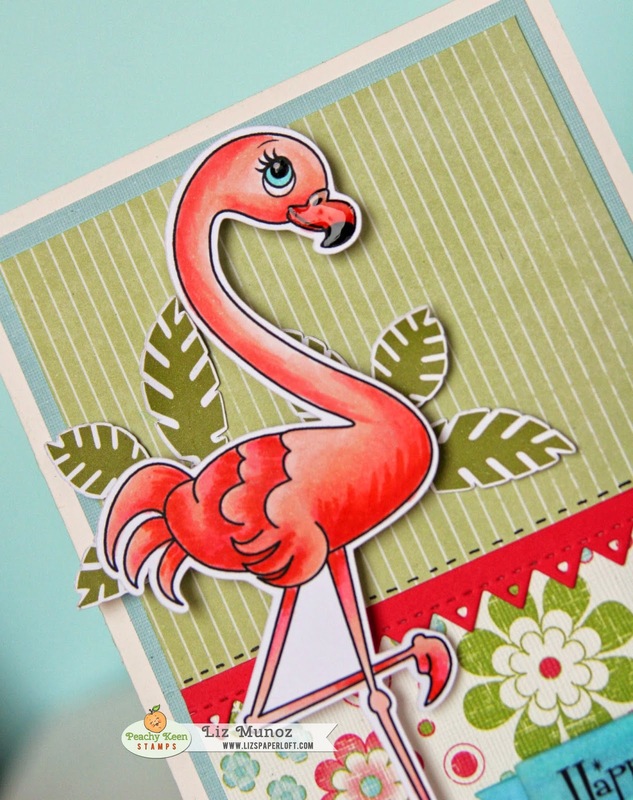 Such a pretty little card, Absolutely love the way you colored the flamingo so life like. Love it. Love the bright color of the flamingo. 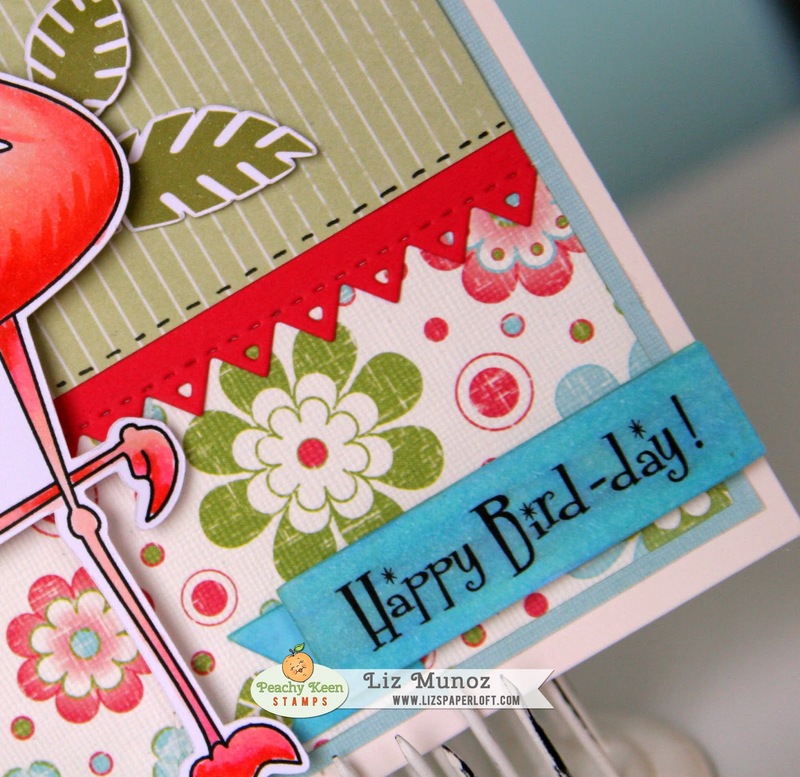 I love your card using that adorable flamingo. Liz ~ Oh my word! This is simply STUNNING! LOVE the design and your coloring is seriously AMAZING! BEAUTIFUL job again! Wow, what a fun and bright card! I love the sweet flamingo! Super cute birthday card!